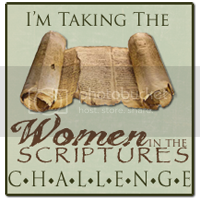 Women in the Scriptures: Why Don't Women Hold the Priesthood? When I was younger I really struggled with why women couldn't hold the priesthood. In fact, for a little while my testimony was really shaken because I thought God was being unfair and demeaning to women. Yet throughout the last few years, as I've really prayed and searched for understanding, God has given me little "tender mercies"-- pieces of understanding-- that bring peace to my soul and answers to my doubts. One of these tender mercies happened to me about a year ago when I was walking through my kitchen. On the wall next to the door we have a key shaped key holder on which we put all our household keys. The purpose of this holder is to keep our keys organized and in a safe spot, so that we always know where they are when we need them. When keys don't get put on this holder things get a big chaotic at our house-- resulting in frantic searches through the house for car keys, house keys, and shed keys which actually sometimes get lost for good. As I looked at this key holder and reflected on its purpose I realized that priesthood authority is much like a key holder. In fact, we call men in the church who are authorized to administer and use priesthood keys-- priesthood holders. Men aren't the priesthood, the priesthood is the power of God, but men are the vessels that God has authorized to "hold" and watch over the keys of His priesthood so that they aren't misused or lost. God has said that His house is a house of order and He has designated men responsible for keeping the keys of the priesthood organized and safe so that when they are needed they will be available to all who seek them, both men and women. Women don't lose anything because they don't "hold" the keys or administer the priesthood because they are still given the authority to participate in the same priesthood ordinances and receive the exact same blessings as the men who administer the ordinances. The truth is that it just isn't women's responsibility to be key holders. God has given women other responsibilities that are in every way just as important for the eternal salvation of God's children as holding and administering priesthood keys. True, these responsibilities aren't always as clearly defined or as acknowledged as ordinations to the priesthood or the administering of ordinances are, but just because the world (or even church members) don't recognize their value and power doesn't mean that God doesn't. God is VERY aware of the important jobs women do on this earth and accepts their offerings and sacrifices. The world tells women that if they don't have the exact same responsibilities or opportunities as men then they are being cheated and controlled. This is just another of Satan's lies. Men and women are different and God has given each different talents, gifts and responsibilities that enrich the lives of all human beings. Joseph Smith taught the early women of the Relief Society that "...Being organized under priesthood authority, they were to reject worldly concepts of power and seek the power that flows down from heaven for those functions and to those individuals who are using their time and talents in the Lord’s way." (Dallin H. Oaks, "The Relief Society and the Church", 1992) Men and women aren't here on earth to compete against each other, but rather are here to help one another return to the presence of God. When men and women learn to respect and sustain one another in their sacred responsibilities then the work of God goes forth at a brilliant pace, blessing the lives of all the human family. I am so grateful for this tender mercy of insight that God gave me at a time when I really needed it; because now whenever I hang my keys on my key holder I am reminded that even though it is not my responsibility to be a holder of priesthood keys, doesn't mean that I have less power, privileges or blessings then men who do. It just means that God has a different purpose and mission for me, that only I can accomplish. I am grateful for that knowledge. I LOVE this! 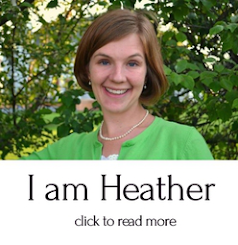 Thank you Heather. I was directed to this post by a friend of mine who I have talked about this very thing with. When I was younger I too strugled with the idea of women not holding the Priesthood. As I searved my mission I made it a personal goal to learn for myself all I could about the Priesthood and all the why and how's to it. I came to the same conclusion that you did, in much the same way. It's comforting to know that others have struggled and learned about this too. I too am grateful for His tender mercies in teaching me His gosple. I just found your blog today while searching for the source of Sister Beck's new Book of Mormon/post-it note study idea from Women's Conference. I haven't yet taken the time to blog about deep personal issues on my own blog, but I look forward to future chances here and there to read more of your insights. I, too, have had the Spirit confirm to my heart God's eternal purposes for both men and women. We can be so distracted by the contradictory message the world is continually shouting. Thanks. I love this post. I've often pondered what to say to those who struggle with why men hold the priesthood and women don't. I'm so glad you've studied and pondered these precepts. I'm feeling more and more that I should do the same! Thanks! I think this would be an excellent Ensign article. Have you considered submitting it? It's never bothered me that I didn't have the priesthood, but it's still interesting to learn about why not and the purpose. 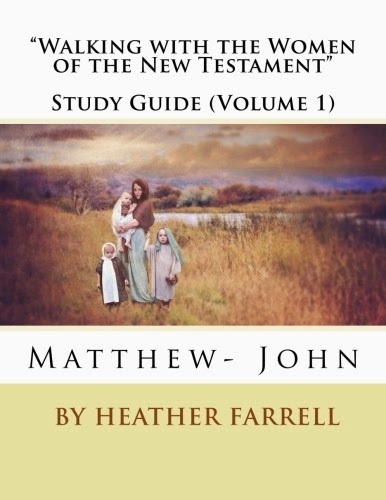 As my husband and I've talked about it, we've discovered that if he didn't hold the priesthood and have the authority to bestow such things as a baby blessing or other family blessings, what would he do? Why would I even need him since, hey, I can go out and work now, right? I birth the baby, I nurse it, the first time he can really connect and do something I can't is that baby blessing. Same with other blessings. If I could do it, wouldn't I? If we authorized women to give such things as blessings, we'd really kick the men out of the picture. 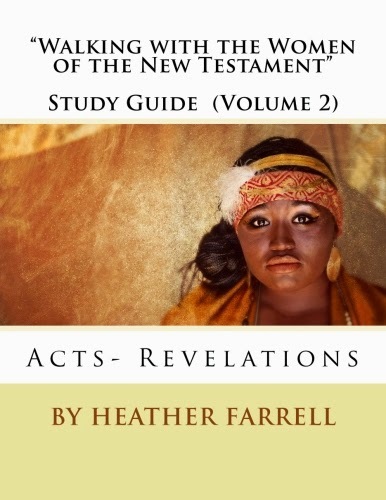 I read an interesting journal article recently regarding female ritual healing in the church. I have a gggrandma's blessing that gives her authority to heal and I was so baffled by it. Finally, when I read this article, it all made sense! Yes, women were authorized from the beginnings of the RS even up up to about the 1940s (most of it had died out by then though) to bless other women in preparation for childbirth as well as healings, particularly when elders were not around. Over time and reorganization, this all died out. Culturally, too, we've changed. It's more appropriate for husbands to participate in the birth of children; hence, they can bless as needed. We understand medicine and science more and probably rely less on faith than we should. It makes sense to me that the women were authorized to bless at that time in history because often they didn't have the men/priesthood resources around. To clarify, the women did not hold the priesthood, they were just authorized to bless in certain circumstances. I found the whole thing fascinating. It's nice that the men hold the priesthood and have the authority to use it because it sure balances out our responsibilities. I have gone through a similar struggle and I feel like you've captured my sentiments as well. Very well articulated; I've thought about writing a similar post on our blog but then I always feel too tired to attempt it :). So thank you for practically writing it for me, or at least showing me it can be done. I struggle with this issue, I'm slowly letting go, slowly. I want to be able to understand this. I can understand it to a certain point. I guess more prayer, and more scripture study will help me. Thank you for such a thoughtful post. I don't think that the men would have nothing to do if we also held the preisthood, because I think God would have arranged it in a way to utilize every ones gifts. But if he truly arranged it the way he did. Then I guess I will just rely on the promise that I will rise in the resurrection and become a priestess and a goddess. I agree with everything you wrote, but here's a question I have for you, and that I've struggled with and am still struggling with. I have often heard male leaders of the church (even very high ranking male leaders), equate priesthood with leadership, and that bothers me. It seems to me that motherhood teaches women to be incredible leaders, not to mention any other plethora of opportunities a woman may have in this life. I'll give you an example. While working at church head quarters, a friend of mine asked why women couldn't apply for the position of Area Legal Counsel, a priesthood assignment (or job), but not a calling that requires the priesthood. The answer she received from one of the members of the legal counsel presidency (who meet with the prophet on a weekly basis), was that the "Brethren" wanted a man in that position because they valued the leadership skills that the men gained through the priesthood, which seemed to imply that woman couldn't gain these skills without the priesthood. My question is, do you think that's an incorrect cultural interpretation of priesthood, or is it really true that the priesthood provides men with certain skills and leadership talents that are unavailable to women? If it is true, then it makes it seem like priesthood is more than just "responsibility," and something more akin to authority and power. I'd love to hear your thoughts. of the Church was facilitated by the rhetorical evolution of the term “priesthood” and the new emphasis that priesthood is essential and inextricably connected with Church bureaucratic structure. Apostle John A. Widtsoe’s Priesthood and Church Government was an important volume used as the Melchizedek Priesthood study manual during 1940–41. This compilation of scripture and quotations of nineteenth- and twentieth-century Church leaders outlined the role of the priesthood in Church government, with the new bureaucratic functions being heavily evidenced by contemporary leaders’ teachings. This shift was an apparent response to schismatic polygamist threats to the governing authority of the First Presidency and Twelve." --Female Ritual Healing in Mormonism by Jonathan Stapley and Kristine Wright. I still can't wrap my head around the priesthood and the leadership/governance being separate because that's what I'm used to, but apparently it was different for a long time. Something I'd like to research more. I think your question is a really good one. The first thing I did with your question was go read the section on Priesthood Authority in the Church Handbook (it is online). Here is what the heading 2.1 Priesthood Authority said, "Through the authority of the Melchizedek Priesthood, Church leaders guide the Church, direct the preaching of the gospel throughout the world, and administer all the spiritual work of the Church (see D&C 84:19–22; 107:18). The President of the Church is the presiding high priest over the Melchizedek Priesthood." What I understand by this statement is that the Melchizedek Priesthood has three main responsibilities 1) guiding the church, 2) preaching the gospel, and 3) administering the spiritual work of the church. All these responsibilities are dependent upon one another. Priesthood authority not only gives us the saving ordinances but also directs and guides the work of God on the earth. I think in that respect it may be correct to view some sorts of leadership-- especially when it is giving legal counsel to the highest governing body of the church-- as a priesthood responsibility. It would fall under the "guiding the church" responsibility. I think even handling the ward's tithing money-- like the ward clerk-- might also fall under the priesthood responsibility of guiding the church. I think many of those jobs are extensions of priesthood responsibilities. Men who hold the priesthood do have a responsibility to lead, their families and the church, in righteousness, it is part of what they covenant to when they accept the responsibility. Even so I don't think that just because men have this responsibility that women don't also develop similar leadership skills and have similar opportunities to lead. God is no respecter of persons and bestows blessings, truth, knowledge and power on all those-- male or female-- who diligently seek him for it. Emily, I haven't read the article you referenced but I think that I disagree with their interpretation of priesthood authority and church governance. I think that the scriptures show us that governance of the church has always been a priesthood responsibility-- Adam, Moses, and Jesus all lead and directed the church as well as administered saving ordinances. It may just be that it wasn't until the 1940's that someone actually sat down and wrote a manual about it--- probably because the church was growing so much and they needed to be more uniform. I hope that this helps a little bit. Keep asking questions in faith... and you'll find answers. Thank you both for your responses. I love being able to talk about these issues with bright, critically minded, kind women. Emily, Can you send me the link to that article you mentioned (sorry if I missed it). And Heather, thanks so much for posting those links to talks and pointing me towards relevant sections of the handbook. This is a beautiful analogy: I especially loved your thoughts: "Men and women aren't here on earth to compete against each other, but rather are here to help one another return to the presence of God. When men and women learn to respect and sustain one another in their sacred responsibilities then the work of God goes forth at a brilliant pace, blessing the lives of all the human family." I wish the several commenters who are so concerned about leadership roles would worry less about this issue, though. Jesus certainly didn't. Yes, men do hold leadership roles in priesthood callings, and or in their own families, consider this: You don't have to be the leader or in a leadership position to make a tremendous difference in the world. What positions of leadership authority did Jesus hold? None. He just went about doing good and helping people. I'm a man, have been active in the Church for many years, and have always done what I can to fulfill my callings. However, I've never held a significant "leadership position" since my mission. In my job, I've performed well for many years, I'm well educated and certified in my field, but I'm not "the boss" of anybody. Does that make me any less of a person? Does it mean I'm no good or not needed? Less talented or useful? Many men who grow older in Elder's Quorum without having any "High Priest" callings of leadership and really struggle with this issue. But, we shouldn't. It doesn't matter. Jesus Christ definitely doesn't care. Just worry about what you can do to help people--and being a good wife and mother is a tremendous good to people. Many times, being in a "leadership position" actually distances you from the kind of hands-on, direct service work that Jesus did and encouraged us to do. I'm actually glad I'm currently in essentially a "no-leadership" calling, because I'm able to work directly with the people, one-on-one, and I count that as a blessing. It is a tremendous amount of work requiring countless hours, but I'd rather do that than sit in "important" "leadership" meetings all day. If men don't have "more privileges, blessings, or power than women in the church or in spiritual things" how can men, but not women, be considered as priests? If men and women have the same spiritual privileges, blessings and power, surely there is no need for male priests as mediators between God and his people. Thank you for your post. I disagree with you completely. The bible explains in Genesis that God created man and woman in his image. That means the image of God is as much female as it is male and anyone who tells a woman that her destiny is limited in any way less than a man's destiny is, doesn't understand half of God. The scriptures explain that there were prophetesses like Deborah and Anna. There were woman like Priscilla and Aquilla teaching men, like Apollos who was learned in the ways of scripture and they are described in Acts as explaining the ways of God to him more adequately. And there were women apostles like Junia that Paul mentions as well. 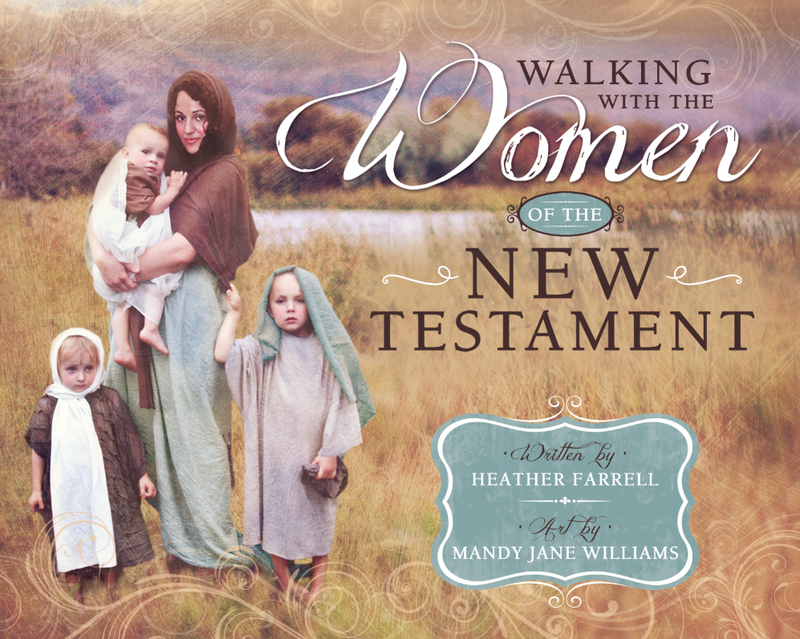 These women came after Jesus and were already being established in the New Covenant. The inconsistency with the way that LDS women are treated is not born in scripture but out of church doctrines. First Corinthians instructs women to remain silent and cover their heads in a modest way in church. Does the church require you to follow THAT scripture? No it doesn't and have you asked why? 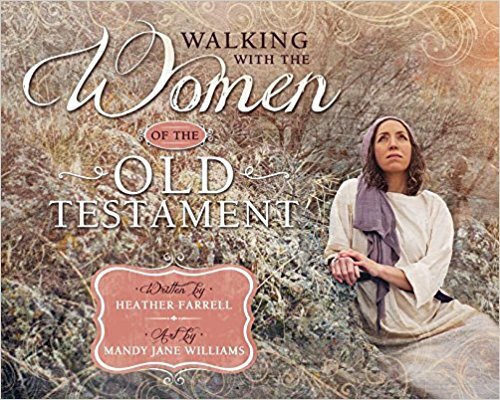 Why must women submit to scriptures taken out of context that relegate their destinies in God to the whims of men, but not follow scriptures that plainly instruct what your behavior should modified in church? May I submit to you that women are being limited and oppressed in ignorance in the ways of God. You wrote, "The world tells women that if they don't have the exact same responsibilities or opportunities as men then they are being cheated and controlled. This is just another of Satan's lies." I'm sorry, but that is wrong. God put no such limitation on you. The lie is believing that you are somehow lower in God's order. 1 Cor. 3:!7 says, "Where the Spirit of the Lord is, there is freedom." A truly loving God doesn't put limits on you for some religious order or purpose any more than if your child looked at you and said, "Mommy, I want to be a doctor." Would you reply, "No honey, you are girl and you cannot be a doctor. Only a man can do that." What kind of a parent does that? The same is true with God and his word backs up the kind of loving, giving Father he is when it says, "Ask and it will be given to you; seek and you will find; knock and the door will be opened to you. For everyone who asks receives; the one who seeks finds; and to the one who knocks, the door will be opened.. Which of you, if your son asks for bread, will give him a stone? Or if he asks for a fish, will give him a snake? If you, then, though you are evil, know how to give good gifts to your children, how much more will your Father in heaven give good gifts to those who ask him!." Matt. 7:7-11. I, like others also struggled to find worth as a female child. I wondered about the priesthood and leadership roles mostly because I felt blessed to be close to God and to have a special understanding of Him. I felt like I should be able to grow up and be a Bishop. So much has changed since then. I realized that I can share my testimony freely to those around me without presiding over a congregation. The Old Testament has also been helpful. From the time of Moses till the time of Christ the only men that held the priesthood were from the tribe of Levi. The men in the other tribes are great examples of how to act. Never do we read of the other tribes fighting or squabbling over the fact that they did not posses the priesthood. There was never an organized rebellion to demand that God give the priesthood to all. The Hebrews simply understood and accepted that this was how their society would be. God is very clear as to who is authorized to do what. In the account of Saul offering sacrifices that he was not authorized to offer, Saul is condemned. Priesthood power never meant that the tribe of Levi was more important than any of the other tribes, it just meant that the tribe of Levi had specific jobs to do that pertained to Hebrew worship. Prophets were not necessarily from the tribe of Levi and they were not necessarily men either (Deborah and others). Men and women have always had equal access to God and His plan. Being close to Heavenly Father has never required the priesthood. God has ALWAYS been the one who assigns who holds the priesthood. The priesthood is not something that someone demands that God give him or her. Duties assigned to the priesthood should never be done knowingly by those who do not have the priesthood (see the Saul example). Also, women are not completely unordained to the priesthood. After all it is women in the temple that bless women. Women that pass tokens. Women that witness in the temple for other women. Women that present women. Let us let God decide who does what. Let us be secure in the love that God has for us. After all, our jobs are of paramount importance. 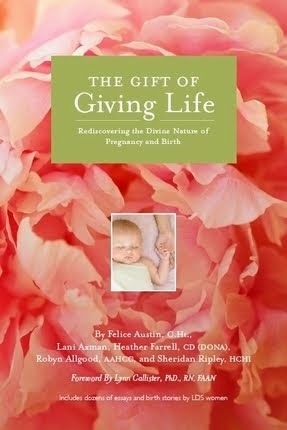 We give life and we influence that life profoundly. I LOVE this. Stephanie, thank you.